Hamburg elementary students who appear in the video. “Treat others the way you want to be treated,” declared Hamburg elementary students in the video. Elementary students appearing in the video responding to questions asked by Hamburg High School student ambassadors. “Do you know what else makes me feel happy inside?” asked student ambassador. They are featured in the video talking about this year's campaign theme the “golden rule”. “We do want to make sure that our children grow as people while they are with us in school, so they can live fulfilling lives after they graduate,” remarked Michael Cornell, Hamburg Schools Superintendent. Cornell is thrilled with the outcome of the video. 30-student ambassadors go into the classrooms at all four of the district's elementary schools and teach conflict resolution strategies. “It really is a powerful way to give our older students some ownership of that culture too. We have 4,000 people who come to our schools every day to learn and work, but 3,600 hundred of them are learners – they’re the students, so they represent the majority of the people in our culture and to give them ownership of the ‘culture of kindness’ in this way only made sense,” described Cornell. Hamburg High School student ambassadors who appear in the video. “Does anybody know what that is?” questioned a high school ambassador. “You’ve been nice to someone else”, replied an elementary student. “Exactly!” responded the ambassador. “And then they’re being nice to you,” the younger student explained. “Exactly!” the ambassador said. The YouTube video allows the district to share it through social media, delivering a powerful message of the ‘culture of kindness’. It was led by the schools Dignity for All Students Act (DASA) team. 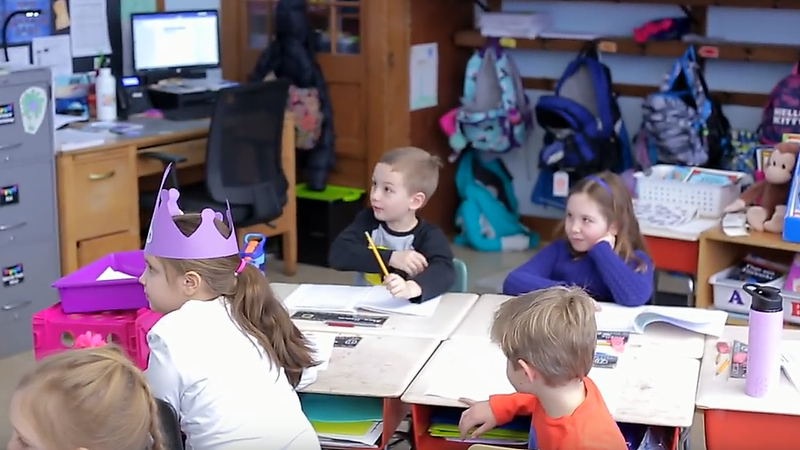 The district’s DASA Coordinator Kristina LaMendola is featured in the video. “We help the students develop their lesson plans through our DASA team and usually we hire a consultant,” LaMendola explained in the video. The district said these videos are being produced in-house by Patrick Wirth, the district’s technology integration specialist, and Michele Darstein, community relations coordinator. A new round of filming will being shortly for another video to promote 21st century learning in the classrooms. The Hamburg District says it will describe how students are becoming 'modern day thinkers' who can care, create, solve and discover.